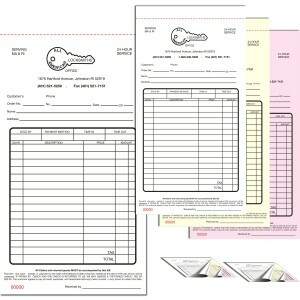 One Stop Shop for All Standard Sized and Customized Carbonless Forms! 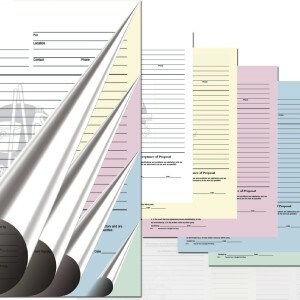 NCR forms are modern and advanced shape of carbon paper to make multiple copies of important business vouchers, bank deposits, invoices, bills and many other receipts. Now its really easy and cost effective to double the copies of your daily deals that too immediacy by using carbonless form. The beauty of a carbonless form is its ability to produce more than one copy at a time. 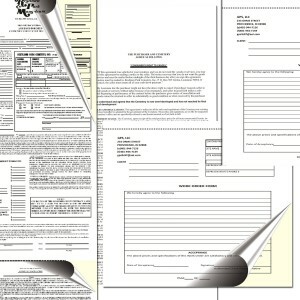 You can get 2 part NCR, 3 part as well as 4 part NCR forms to help you save your time and cost of reproduction. Employing full color printing process in combination with CMYK/PMS, we give you solid printing results. Here, you can get the papers in the shape of sets, padded in a clipboard or stapled in a cover wrap. 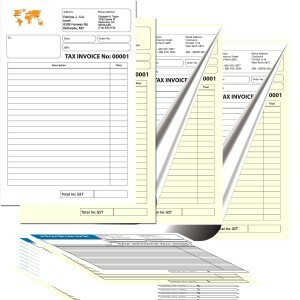 You can place orders for custom invoice forms, receipt books and invoice books. 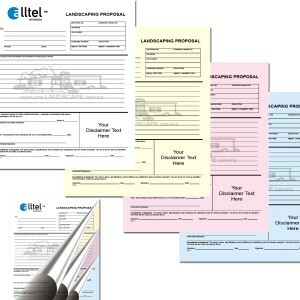 The most striking thing about RegaloPrint is that you can get all multiple sized forms like; 5.5" x 8.5", 8.5" x 11", 8.5" x 14" as well as on a single call. Being a premier custom printing service, we are pleased to offer you optimal quality NCR forms printing services at highly affordable cost. For highest rate of customer retention, we have valued-addition system where we offer numerous FREE services to our clients. Yes, with every order you make, we offer you FREE custom designing, samples, handling, quality assurance, proofreading and shipment to your doorsteps.